"Massachusetts, Town Clerk, Vital and Town Records, 1626-2001," database with images, FamilySearch (https://familysearch.org/ark:/61903/1:1:Q29P-QD8C : 13 July 2016), John Chase, 18 Apr 1745; citing Birth, Amesbury, Essex, Massachusetts, United States, , town clerk offices, Massachusetts; FHL microfilm 893,105. 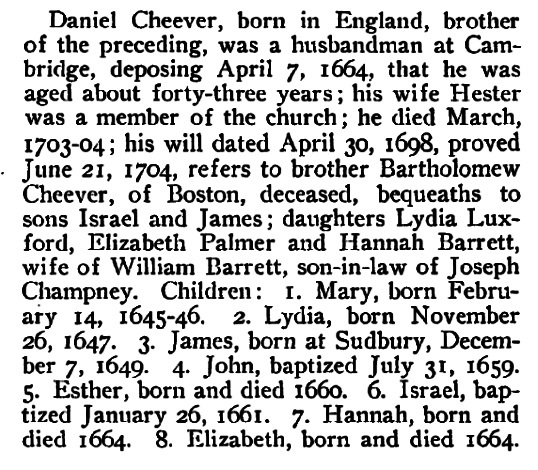 "Massachusetts Births and Christenings, 1639-1915," database, FamilySearch (https://familysearch.org/ark:/61903/1:1:FCVD-1MQ : 4 December 2014), Judeth Chase, 30 Oct 1727; citing AMESBURY,ESSEX,MASSACHUSETTS, ; FHL microfilm 0599730 IT 3. "Massachusetts, Town Clerk, Vital and Town Records, 1626-2001," database with images, FamilySearch (https://familysearch.org/ark:/61903/1:1:Q29P-Q8M9 : 13 July 2016), Martha Chase, 15 Mar 1742; citing Birth, Amesbury, Essex, Massachusetts, United States, , town clerk offices, Massachusetts; FHL microfilm 893,105. 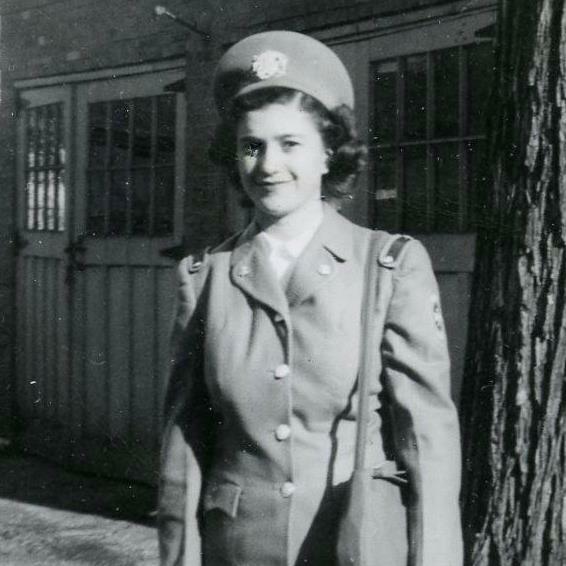 "Massachusetts, Town Clerk, Vital and Town Records, 1626-2001," database with images, FamilySearch (https://familysearch.org/ark:/61903/1:1:Q29P-Q7CW : 13 July 2016), Sarah Chase, 30 Jul 1738; citing Birth, Amesbury, Essex, Massachusetts, United States, , town clerk offices, Massachusetts; FHL microfilm 893,105. "Massachusetts, Town Clerk, Vital and Town Records, 1626-2001," database with images, FamilySearch (https://familysearch.org/ark:/61903/1:1:Q29P-Q74B : 13 July 2016), Thomas Chase, 30 Oct 1736; citing Birth, Amesbury, Essex, Massachusetts, United States, , town clerk offices, Massachusetts; FHL microfilm 893,105. Miss Jean Chauncey, E. E. Woodward Wed, Binghamton Press, Binghamton, N.Y., June 13, 1949, p. 12. "United States Social Security Death Index," database, FamilySearch (https://familysearch.org/ark:/61903/1:1:VSN7-N27 : 20 May 2014), Lois J Woodward, 11 May 1998; citing U.S. Social Security Administration, Death Master File, database (Alexandria, Virginia: National Technical Information Service, ongoing). Thomas W. Baldwin, Vital Records of Cambridge, Massachusetts, to the year 1850, Boston: Wright & Potter Print. Co., (1914) , Vol. 1, p. 133. 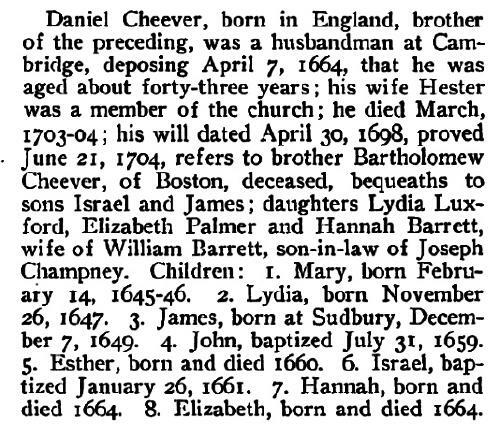 Daniel Cheever was born perhaps about 1625. William Richard Cutter, Genealogical and personal memoirs relating to the families of Boston and eastern Massachusetts, New York: Lewis historical Pub. Co., (1908) , p. 469. Thomas W. Baldwin, Vital Records of Cambridge, Massachusetts, to the year 1850, Boston: Wright & Potter Print. Co., (1914) , Vol. 2, p. 502. Massachusetts Births and Christenings, 1639-1915, at https://www.familysearch.org, Indexing Project (Batch) Number: I00880-7, Source Film Number: 771074, Reference Number: 62. He was the son of John Cheever and Hannah Bridge. Edward died on October 8, 1743 in Roxbury, Massachusetts, at age 9. Roxbury (Mass. ), Vital records of Roxbury, Massachusetts, to the end of the year 1849, Salem, Mass. : Essex Institute, (1925) , Vol. 1, p. 59. She was the daughter of John Cheever and Hannah Bridge. Roxbury (Mass. ), Vital records of Roxbury, Massachusetts, to the end of the year 1849, Salem, Mass. : Essex Institute, (1925) , Vol. 1, p. 61. Henry Bond, Family Memorials: Genealogies of the Families and Descendants of the Early Settlers of Watertown, Massachusetts, Including Waltham and Weston; to which is Appended the Early History of the Town, , at https://books.google.com/books?id=3Yc-AAAAYAAJ . Boston: Little, Brown & Co., (1855) , Vol. 2, p. 968. Brookline (Mass. ), Vital Records of Brookline, Massachusetts, to the end of the year 1849., Salem, MA: The Essex Institute, (1929) , p. 211. Brookline (Mass. ), Vital Records of Brookline, Massachusetts, to the end of the year 1849., Salem, MA: The Essex Institute, (1929) , p. 79. Thomas W. Baldwin, Vital Records of Cambridge, Massachusetts, to the year 1850, Boston: Wright & Potter Print. Co., (1914) , Vol. 2, p. 75. Roxbury (Mass. ), , Vol. 2, p. 487. Roxbury (Mass. ), , Vol. 1, p. 61. Thomas W. Baldwin, Vital Records of Wrentham, Massachusetts, to the Year 1850, Boston, Mass. : Stanhope Press, (1910) , Vol. 2, p. 414.